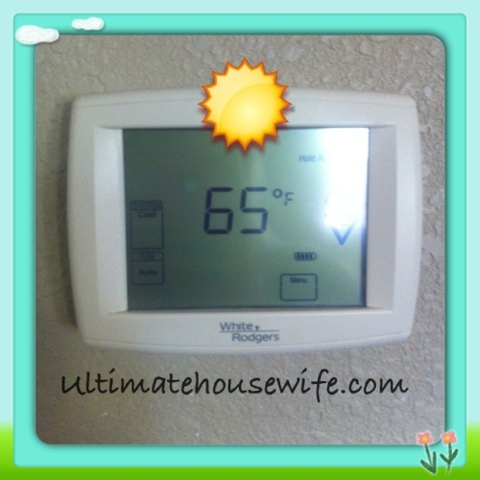 Becoming the Ultimate Housewife: Tip of the Day: How to Keep Your House Cool! It's that time of year again! The warm, sunny days! Man I love it! It makes me think of all the Fun I'm going to have swimming, camping, house boating, biking, etc. It's already been getting up to 85-90F Here in Northern California. I love it, but I do feel bad for my hubby that has to be working in it all day, climbing in to and around people's attics when its always at least 10 degrees hotter in there. Poor guy! When he gets home on days like this he likes the house nice a cool! But how do you keep the house nice and cool without breaking the bank? 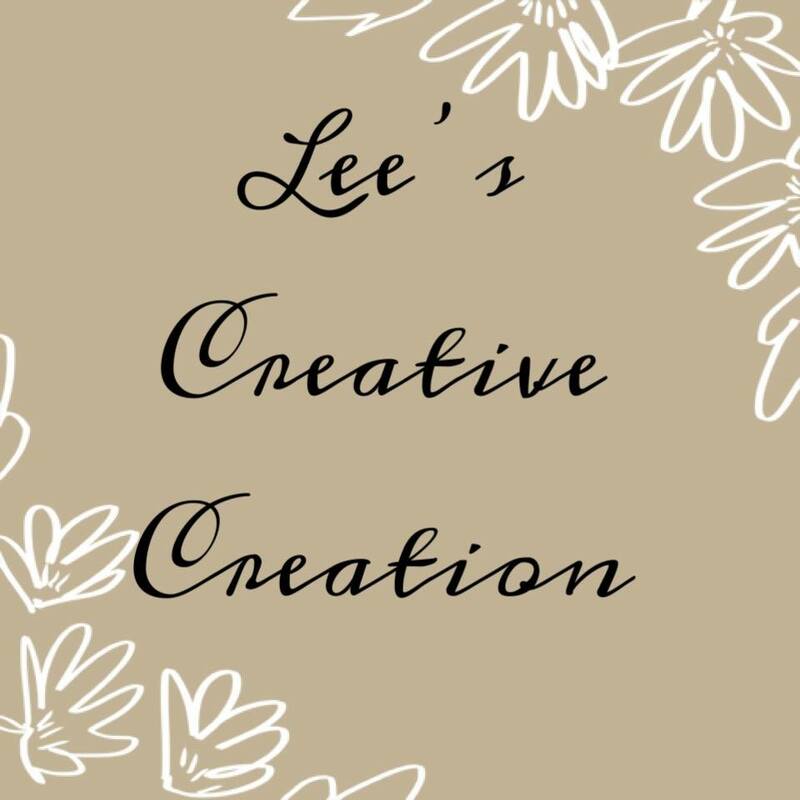 Well, I asked my husband and his dad for some tips for my Blog! I felt that they were the best people to ask because this is what they do! They and there family have been in the heating and air business for years!!! Here are some simple tips to keeping your house cooler. Get your air conditioning maintenanced regularly! You don't want the inside looking like this! It will not work very well if this is the case. 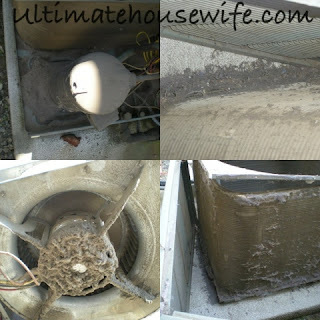 One other way to avoid this is by changing your filters. You will still need Regular maintenance from time to time, though. 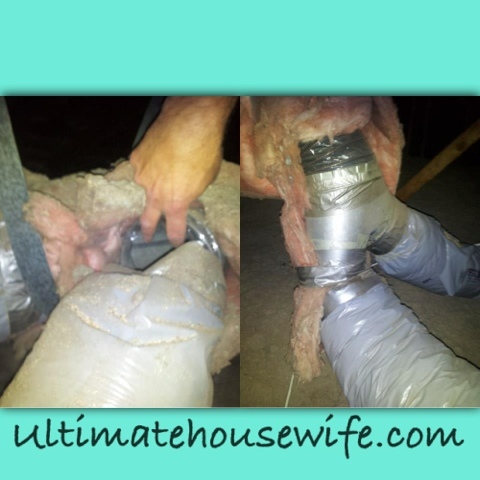 Get your air ducting checked! If needed, have them repaired, sealed or replaced. This is a photo my husband took. This poor lady was wasting so much money because her ducts didn't even connect and had big holes in them! You can see some in the photo. Let some fresh air in! In the morning when it cool outside, open all of your doors and windows! Yes, it will be breezy and yes, the house may cool down to 65-68F. Mine right now is down to 64F, but this is good! You want it to get as cool as possible. The Cooler the house is in the morning, the longer it will stay cool. Important: once you see the thermostat Go up 2-4 degrees, you will want to close all of your windows and doors. Close your blinds if possible, too, maybe leaving them cracked a little so that you still get some light. You wouldn't want to have to turn lights on at this time of day. If you leave your windows open as it gets hotter outside, that hot air is going to come in and all of your cool air will go out, so close them before it gets to that point. Tip: maybe its too cold for you in the morning to have everything open. Well then put a sweater or a blanket on. Think about it, it's cheaper to put more on then to pay more to have you air running all day. By keeping the windows open, you are letting the house cool. Closing them later will lock the cool air in the house and it will stay cooler so the air conditioning will not turn on as soon as in normally does. At 6:30 a.m. I get up and open all of my windows and doors. I never leave the windows open after 11:00 a.m. because it always gets hot around that time. Some days it gets up to 85F by 10:30 here! I leave my thermostat set to 75F because this is were my husband likes it. I had a hard time getting him to agree to this when we were first married. He used to want it set to 68F at all times because he likes to be cool. My air normally doesn't kick on until around 3:30 p.m. If I never open the windows and doors, it kicks on around 12:00-1:00 pm. It's crazy what a little cool fresh air in the morning can do! 3.) Get your air ducts checked. These tips will save you $$$ when its HOT out! Should i do more like this? The less air leaks and the more insulation you have,the simpler it will be to keep your house cool in the summer (and warm in the winter).Sealing air leaks is regularly inexpensive and pays off fast in lower energy bills.Including insulation is a greater amount of an up-front investment,yet can likewise have a really fast payback,as it additionally saves you money year-round.As you make your home less leaky,it turns out to be significantly more essential not to add warmth to the indoor air. I am actually totally going to look into it, because I want to see the difference it makes . When outdoor air is cooler than indoor air, just opening windows and doors to let air flow through our houses can have a natural cooling effect. Thanks for the Tip. Love having the Door & Windows open and letting that fresh air in. Thanks for sharing good tips. For us fans really help alot during the morning. We don’t turn the A/C on during the morning because it really works twice as hard to keep the house or room cool. Having fans and opening windows really help the circulation of air in the whole household. My wooden house is like a thermos, it keeps cool, the main thing is to close the windows in the morning. haha reading your blog was such a fun. and i did note down the tips you mentioned. i will use them for sure so that i can make my house look more clean and tidy.